My 4-year-old will never remember life before the iPad or Google. For all of us, it’s like thinking about life before cross-country flights — very hard to grasp. Searching Google has been a part of our lives for more than a decade, and we now know how to ask or type questions in “search terms” to get the info we want. Search is almost another language, and totally unconversational. See photos? Oh right. There was no Facebook 10 years ago either. How did we survive? From the back seat of my dad’s new 1985 Ford LTD, I played with legos and stared out the window for thousands of miles across the country. If I asked, “Are we there yet?” I was handed the TripTik. I’m a map geek, and the TripTik was cool to me at the time. After deciding where you wanted to go, you would call AAA (two or three weeks in advance) and tell them where you wanted to go. 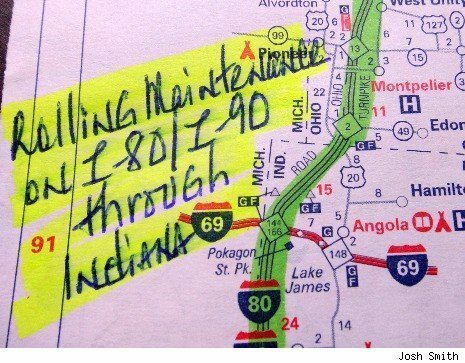 AAA would then snail mail you printed, turn-by-turn directions with a highlighted route. With today’s connected devices, this concept is totally laughable. After arriving in Albuquerque, how did we ever find delicious smoked green chili enchiladas without searching Yelp? And how did we get a room without instant hotel availability price mapping? Lord help us if we wanted to search for a home. We talked, we asked questions. Talking to people and asking questions? Oh, how crazy life was before Google. With Hummingbird, everything old is new again. Voice Search with Google is enhanced. Mobile device users have been gradually learning to use the built-in microphones in their devices outside of talking. We now use them to search Google or Voxer, a cool walkie-talkie app) or send text messages. However, the spoken language we use when searching has been awkward to Google, as it is much more conversational. 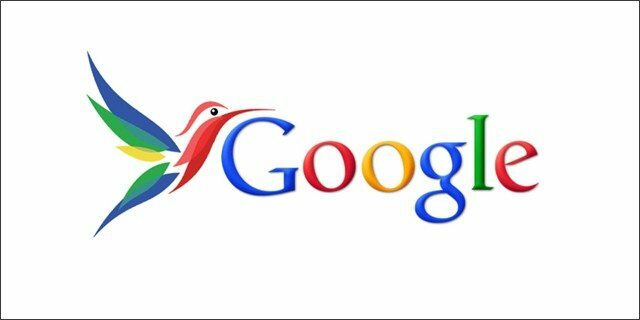 Earlier this month, Google released the Hummingbird algorithm that will help us return to conversational language. English majors may rejoice. Hummingbird recognizes speech patterns more efficiently, and takes into account recent searches to provide more informed results. For example: You may ask your device, “How do I get to House of Nanking?” Your device knows your location and provides turn-by-turn directions as you would expect. In this case, it also gave me the URL for the restaurant and a 3.5-star Yelp review. This will continue to improve. Content, context and textual analysis are key in Google’s eyes to provide relevant results. And relevant results is what matters. Relevance is why we changed our typed language for search in the first place. Until now, we had to think like a search engine and search like a robot in order to see more relevant answers. Going forward with Hummingbird, we can return to conversation and return to asking questions like humans. For Realtors and brokers in our industry, this is yet another change like Google’s Panda and Penguin updates. Hummingbird is an algorithm that you don’t need to download, turn on or buy. These updates and changes are worth better understanding if you are considering or actively write content about real estate or your community. Simply put, keywords in H1 titles and subject lines are becoming less important, as Google tries to change its platform to support more long-tail searches. (Read: monetize long-tail search advertising.) They are minimizing the strength of the keyword, as they have more data to refine search results. This is to say that Google wants to serve up the best content still, but apply more mobile device-gleaned context — and with Hummingbird they now look at verbal textual analysis for clues as well. Don’t worry. Really, it’s a simple solution. The best way to leverage this new insight may be to continue creating great local relevant content on your site. 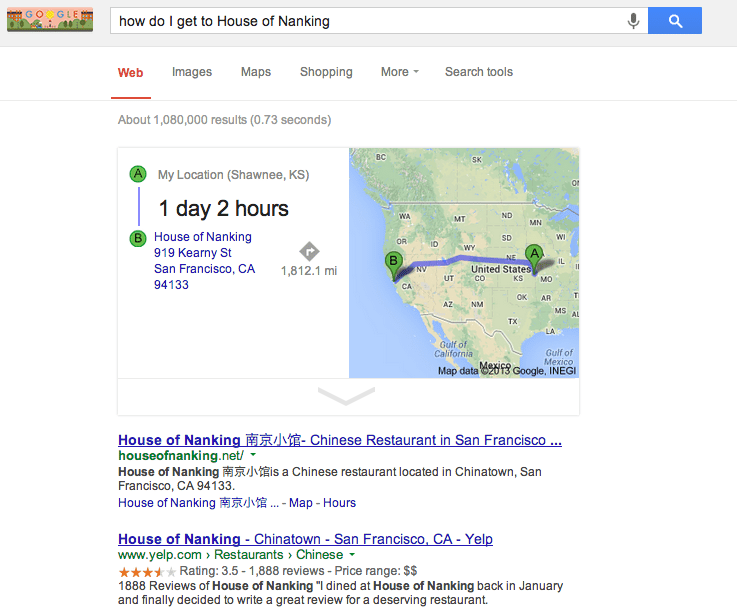 More on the Hummingbird implications on SEO and long-tail search. Chris Drayer is the founder of FinchMktg and marketing director for FloorPlanOnline. He can be reached at Chris@FinchMktg.com or @FPO on Twitter.